1. What is currently happening in the political field in Venezuela? What type of political regime do we have and what kind of political leader is Chavez? 2. Which are Chavez’ intentions for Venezuela and for the region? Is there a gap between his intentions and his capabilities, and how wide this may be? 3. Should others (for instance: Latin American and Caribbean countries) be concerned about what is going on in Venezuela and about Chavez’ foreign policy initiatives? 4. What is to be done about Chavez, both by democratic Venezuelans and by democrats in the region in general? First: The political regime in Venezuela can be characterized as “flexible authoritarianism”. Some scholars have called it a case of “competitive authoritarianism”, but I think this is wrong, as Chavez would not accept real democratic competition challenging his power and truly threatening it. The regime is a “flexible authoritarianism” because it accepts some degree of opposition, as long as it does not menace its continuing permanence in power. More specifically, Chavez’ regime is an autocracy: “Literally self-rule…rule by an agent who holds all power himself, and who exercises that power in an arbitrary manner. There may be a constitution and laws, which seem to limit or guide his power, but in fact these can be revoked at will by the autocrat, and also disobeyed by him, there being no independent mechanism for enforcing them”. (Roger Scruton). 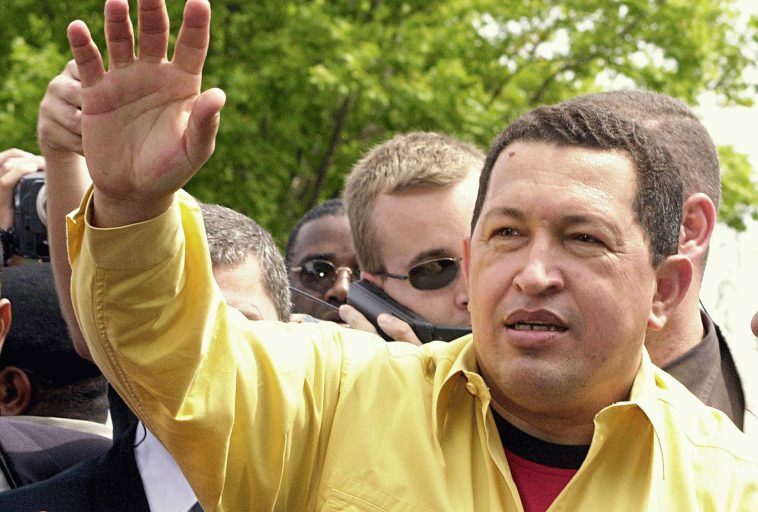 Chavez is a charismatic populist caudillo, but he is also more than that. He is a true revolutionary: “It is the essence of a revolutionary power that it possesses the courage of its convictions, that it is willing, indeed eager, to push its principles to their ultimate conclusion. Whatever else a revolutionary power may achieve, therefore…it tends to erode, if not the legitimacy of the international order, at least the restraint with which such an order operates”. (Henry Kissinger). The fact that Chavez is a true revolutionary has made it very difficult for many to understand, not only the true nature of his intentions, but also how far he is prepared to go to accomplish his vision of a Latin America locked in radical confrontation with the U.S.A. The misunderstanding of Chavez’ unbending radicalism generated during the first few years of his rule a policy of appeasement from Washington, and also from most Latin American countries, which gave no credence to his pronouncements and systematically underestimated him. This policy of appeasement is only now starting to change. The alternative attitude has been opportunism: trying to profit from Chavez’ profligacy while permitting the dismantling of democracy in Venezuela without raising a word. Second: Chavez is playing for very high stakes. He sees himself as being at the center of a world-wide struggle against American “imperialism”, capitalism and what he calls “neoliberalism” -a word under which he subsumes all of the world’s evils. He wants to establish what he calls “twenty-first century socialism” in Venezuela, and to restore the political weight of radical left-wing ideas on a world-wide scenario. There is indeed a gap between his rather overblown self-image and intentions, on the one hand, and his capabilities on the other. He will not defeat “American imperialism”, but he has done a lot of damage and may still cause great harm, both to his country and the region. –The destruction of representative democracy in Venezuela -a sad reality which has been, I am afraid, silently accepted by the inter-American community. –He has put an end to the military-strategic relationship between Venezuela and the U.S.A., although he is still forced to sell Venezuelan oil to America. He has imported more than one hundred thousand Russian assault rifles into the country, plus thousands of Cuban military and intelligence personnel who now exercise strict vigilance and control over the Venezuelan armed forces, police, and other national security services. –He has expanded his influence to Bolivia in a decisive manner, and meddled in Peru, Nicaragua, Ecuador, Mexico, and several other countries in the region. This he has done with very little opposition, even from those -like Brazil- which have been materially affected by his activities. Mr. Fox in Mexico and Mr. Garcia in Peru have reacted against Chavez, but only as a response to his intemperate attacks and political interference. –For Chavez; terrorists are good (Carlos “The Jacqual”, the Iranian regime, the FARC in Colombia, Al-Queda), and the U.S.A. is “terrorist. –He has essentially destroyed the Andean Community of Nations as an economic entity, and intends to make of Mercosur a political tool to be used against the USA. –He has given a new lease of life to Castro’s Cuba. –He has shown beyond the shadow of a doubt that the OAS’s “Democratic Charter” is no more than hot air, as his destruction of democracy in Venezuela has gone unchallenged and unpunished. Third: Should others, apart from Venezuelans, be concerned? There are two aspects to this: one has to do with principles, the other with material interests. On the issue of political principles, it can be argued that the death of democracy and freedom anywhere is a blow to democracy and freedom everywhere. Some -for instance, the current Argentinian government – consider Chavez a rather harmless demagogue, whom people can exploit and forget about the rest. The same with the Brazilians until very recently. To their chagrin, however, they are discovering that Chavez does not consider Lula and Kirschner true revolutionaries, and is prepared to go much beyond them along the route of confrontation against the USA, dividing and embittering relations among Latin American countries and governments. But: why should anybody else in the region be concerned about the destruction of democracy in Venezuela? For us in Venezuela, the realization that others in the region -with some important exceptions, in particular in the United States- are unwilling or reluctant to defend the cause of freedom in our country has come as an unpleasant surprise, in particular when considering the principled positions that Venezuela took in the past in favor of democracy in Central and South America, and in the Caribbean. But even if we disregard principles for a moment, Chavez is on his way to creating a major geopolitical crisis in the region. Although his capabilities are limited on paper, his revolutionary impulse cannot be contained by appeasement, and he is ready to go very far. We should not forget that the worst geopolitical crisis of the Cold War took place in the Caribbean. Chavez wants to repeat it, in some way or another, and his close alliances with Cuba, Iran and North Korea point in that direction. Fourth: What is to be done? What is likely to happen in Venezuela? To begin with the second point: There will not be a democratic end to the Chavez regime in Venezuela. The key democratic institution and practice of free and fair elections has ceased to exist in the country, and Chavez will never accept to abandon power as a result of an electoral defeat. In fact, there will not be a Chavez electoral defeat, for he will not allow the possibility to materialize. The Venezuelan democratic opposition has never received adequate support from other democratic countries. I am convinced -sad as it may sound- that the internal opposition will still take some time to recover from its past defeats, but that it will go back to the streets in a matter of months. Until now, the prevailing attitude towards Chavez outside of Venezuela has been a mixture of opportunism, indifference, and appeasement in varying quantities. We Venezuelans are primarily responsible for our destiny, but if others want to help our struggle for democracy, there is a key action they should take: support free and fair elections in Venezuela. Chavez must be confronted. A policy of appeasement does not work with a true revolutionary. A different, more aggressive, principled and determined policy will not work with Chavez personally, but will work with many who now are backing him, but will stop doing so when they realize that Chavez’ feverish dreams of total revolution have costs. If Chavez is not stopped sooner rather than later, and this can only be done by confronting him politically and ideologically -both domestically and from the outside-, he will yet spring quite a few unpleasant surprises on all who make the mistake of minimizing his revolutionary message.